"After twenty-five years on the Court, Scalia has earned a reputation for engaging in splenetic hyperbole—but he outdid himself this time. 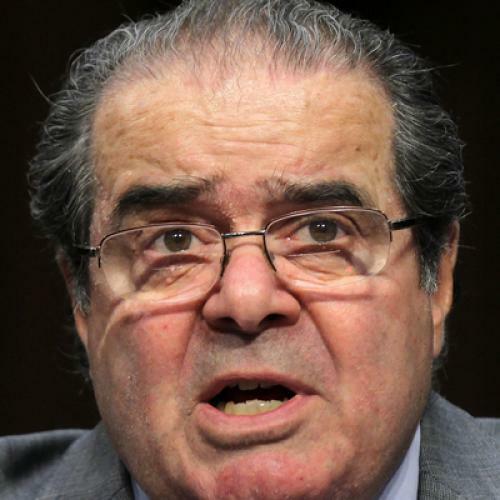 Scalia thought the Court should have approved S.B. 1070 in its entirety, but his opinion, which he read from the bench in his usual clear basso, ranged over several contemporary controversies, whether or not they had any relevance to the Arizona case. He noted, for example, that Obama recently used an executive order to accomplish some of the goals of the DREAM Act, and exempt certain young people from deportation. (This decision came well after the Arizona case was argued and was legally irrelevant to the issue at hand.) [emphasis mine]"
Why? Because, he argues, that same resource-strapped federal government is going to run up “considerable administrative cost” implementing the DREAM directive—a cost that will “necessarily be deducted from immigration enforcement.” Don’t tell me you’re short on money, Scalia is saying, when you’re blowing millions on this DREAM directive! This is not so much “stark” as it is simplistic, or maybe just dishonest. Scalia’s argument, you’ll notice, has subtly shifted from the DREAM directive to the border. The implication—that Arizona and its borders are under threat from DREAMers—is, of course, nonsense. The directive (which Scalia is clearly referring to in his reference to “a Federal Government that does not want to enforce the immigration laws as written”) does not concern border security. It is designed to apply to people who have been here since childhood, not anyone crossing the border today. In any case, the point is completely irrelevant to the question before the Court: Does Arizona’s law unconstitutionally interfere, in a variety of ways, with federal efforts? The answer is yes—regardless of whatever unrelated issues Scalia wants to use his position to complain about.